I Walter Yourawski, have been in the jewelry business since 1979. I started my business with a suitcase full of jewelry, traveling from house to house selling jewelry and taking in repairs. Many years later, I out grew the suitcase and couldn't keep up with all of my customers. In 1993, we opened our jewelry store, East Boston Diamond & Gold Exchange. We are able to provide quality service and the lowest prices around because, I own the building. I don't have a high overhead which separates me from all other jewelers. 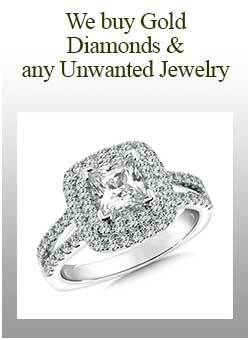 This is why we are the largest discount jeweler in the Boston area. After 36 years of business, our customers have the trust and loyalty in East Boston Diamond & Gold Exchange. We are a family owned and run business. My loyal employees have been working here for over 14 years. We have always taken care of our customers. After all this time, our customers are like family to us.
" The service after the sale is more important than the sale itself."